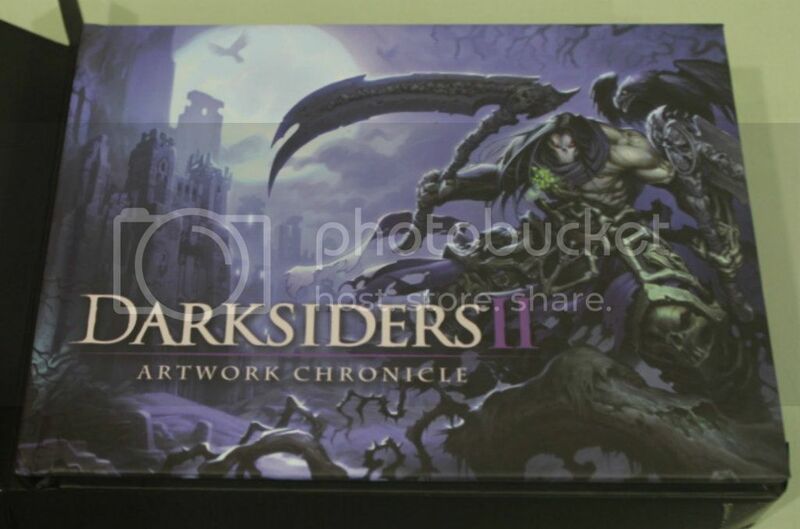 Dr Jengo's World: Darksiders 2 Collectors Edition arrives! 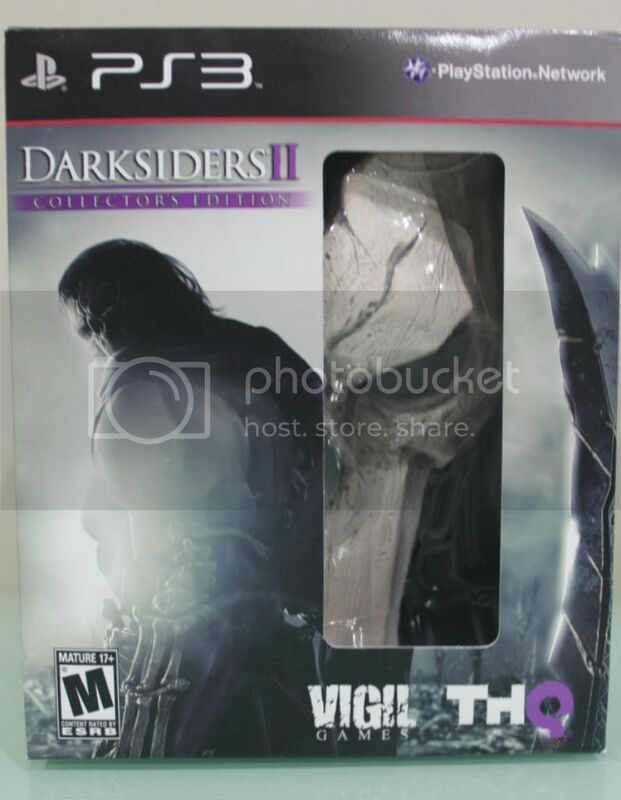 Darksiders 2 Collectors Edition arrives! Finally it arrives! After Gamestop messed up my pre-order and more than a week long of mails trying to get my order shipped out, it's here. I only have imported CEs from them a few times but there had been no problems with my orders. Not sure what happened this time and why they took so long to settle my order. The box even came damaged so that was disappointing. Anyway, enough about with the negatives. Let's move on to the CE itself! Good decision to add the 'window' in the box to make it seem like Death's peeking at you. The CE comes with the limited edition version of the game, bonus Shadow of Death DLC pack, a code to download the Official Soundtrack, a hardcover art book as well as the Death Mask, easily the highlight of this Collectors Edition. Decided to only flip through the pages of the art book. I haven't really been looking at game-play videos as I didn't want to spoil the game experience for myself. 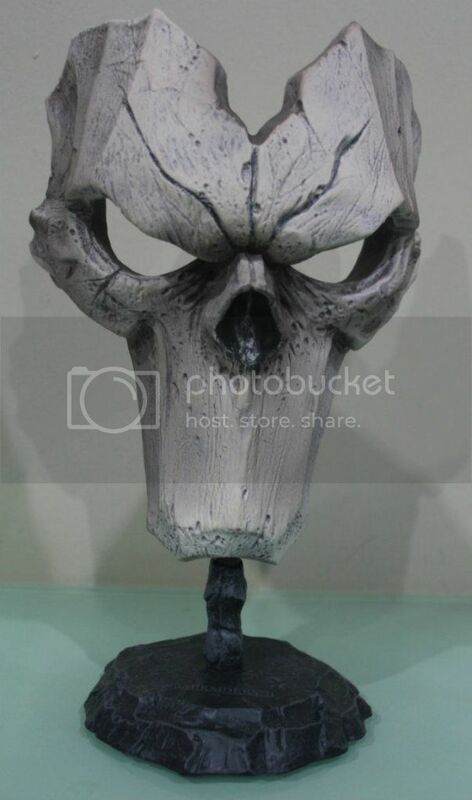 Incredible-looking Death mask. It's life-sized so you can actually wear it. By now, most of you would have seen tons of images of fans posing with the mask over their face. Well here's one more! Very detailed and nicely painted. There is also a French version of the Collectors' Edition which comes with a better-quality mask. It's heavier and in comparison to this version, the French Edition is the "better" of the 2. It is also numbered. For a better comparison of the two editions, you might wanna check out a friend's blog. However, it seems a bit too white. The area below the nose doesn't have the same worn-out look as the one seen above. Anyway, I'm more than happy with this version. 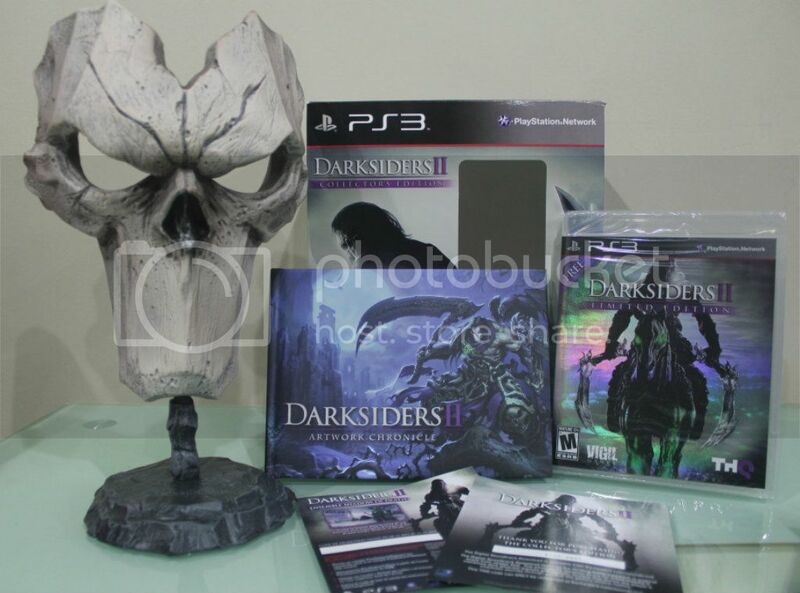 So there you have it, the entire contents of the Darksiders 2 Collectors Edition. Really cool stuff if you are a fan of this series. 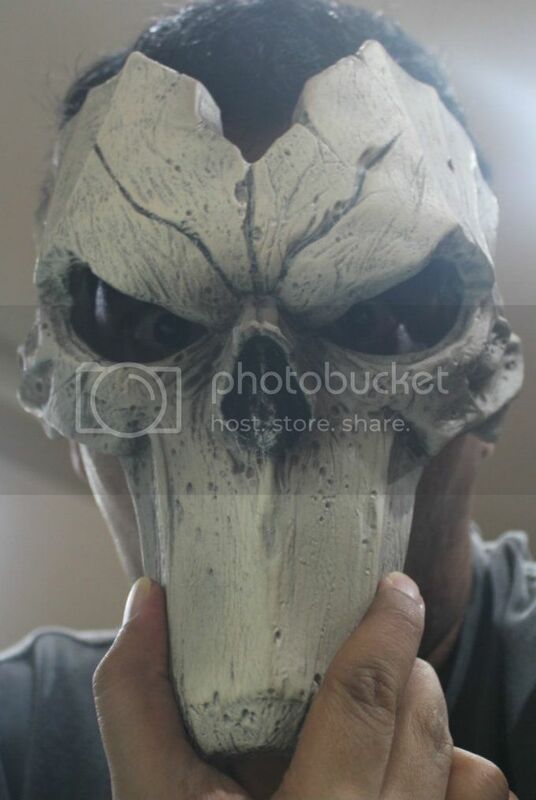 Click here for more Darksiders news in my blog. Free Darksiders 2 DLC Weapon Giveaway! It's August and Death is coming!